Almost all the clothes worn by us have passed through a sewing machine. Sewing machines have gone through many improvements since they were first invented back in 1790 by Thomas Saint. Today, convenience and power are the most important aspects to consider when choosing a sewing machine. Part of convenience is portability. Portable sewing machines are more convenient than other types of machines. They are easy to carry around because of their lightweight. Portable sewing machines are available in different variants. Finding the best one among so many different types can be a challenging task. You might not have any idea about the specifications and features of sewing machines. To help you out, we have reviewed the best portable sewing machines currently available in the market. In this review, we will discuss various features of portable sewing machines to help you decide which one is right for you. Before that, let us show you some important factors that you must consider when selecting a portable sewing machine to purchase. One of the most important factors to consider when choosing a portable sewing machine is weight. Most portable sewing machines come with a plastic interior which reduces their weight. A heavy and large machine is difficult to carry between different locations, so they aren’t really ‘portable’. However, the machine shouldn’t be so light that it totters during operation. You should look for a model that strikes the perfect balance of portability, compactness, stability, adequate working space, and competitive features. Programmable portable sewing machines mostly feature an LCD display. While you can get good results with manual dials, LCD displays provide more information. They take the guesswork out of the picture. You won’t have any trouble identifying the settings for your sewing tasks. The selected width, length, and type of stitches are displayed on the screen and the interface makes it easier to navigate between different stitches. Some portable sewing machines come with built-in stitches. Needle movement and programmed speed are used to create patterns and they are designed for certain styles of fabric and stitching. You should decide whether you need built-in stitches or not. If your requirements are of an advanced nature, built-in stitches would be unnecessary for you. 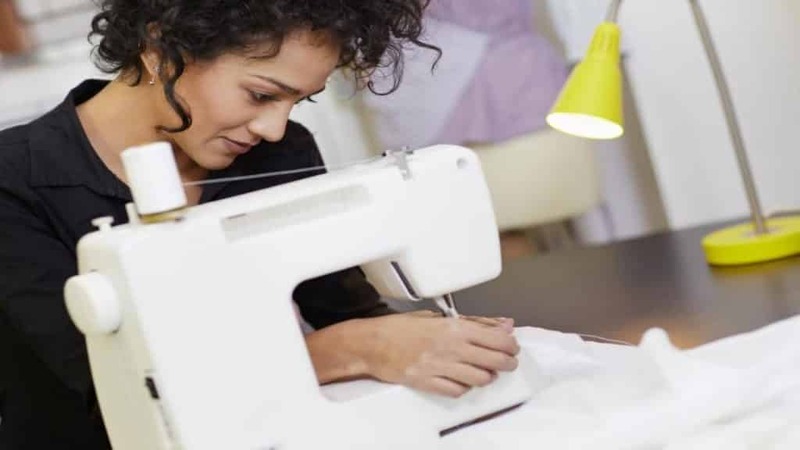 When it comes to controls, you get plenty of options with portable sewing machines. They can be controlled electronically, mechanically or automatically. Programmable features in computerized sewing machines include stitch programs and preset speed. It isn’t easy to thread a needle. Add shaky hands, dim lighting, and poor eyesight and you have a minor catastrophe in your hands. Some portable sewing machines come with an automatic needle threader that can save your time and ease your frustration. If threading a needle is a problem for you, then get a portable sewing machine that has an automatic needle threader. The affordability and simplicity of the Brother XM2701 make it suitable for novice sewers who are getting started with sewing and want a machine that will help them nurture their skills. It comes with 27 built-in stitches that include decorative, stretch, and zigzag stitches. It also has 63 different stitch functions that will cover your basic needs. You can select the stitch by turning the small dial. 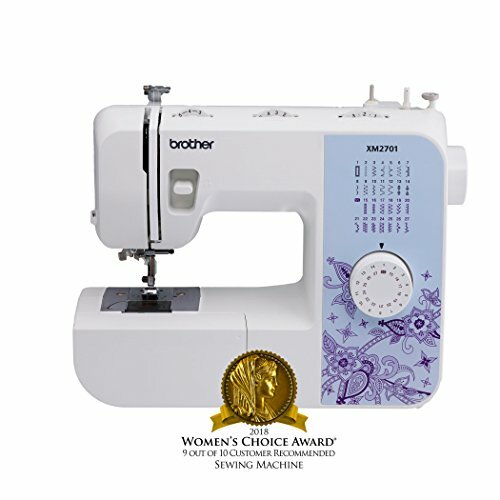 The Brother XM2701 has a buttonholer and six quick-change sewing feet. Automatic threading means that you don’t have to worry about threading the needle. Illustrated instructions and demonstrated DVD come with the purchase of this machine for simple navigation. It also has a 25-year limited warranty. The Brother Sewing Machine, XM2701, is mostly loved by novice sewers as it is easy to use and can improve their sewing skills. One complaint about this machine is that the working area (lit by LEDs of the machine) is slightly dim. Other than that, it is a great portable sewing machine. 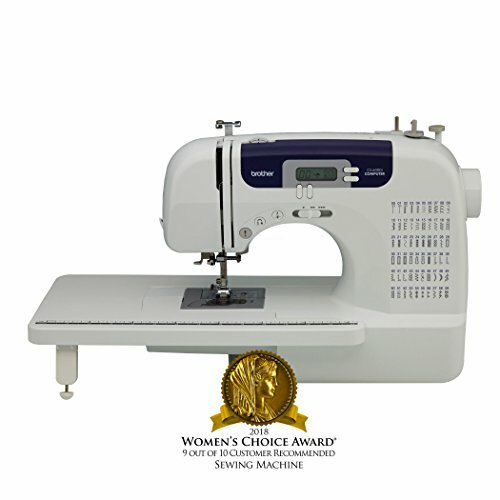 Janome Arctic Crystal Sewing Machine features a heavy duty interior metal frame that increases its shelf life and sturdiness. It is one of the best portable sewing machines available in the market and is designed to help novice sewers find their footing. The machine has a removable free arm that is ideal for sleeves and hems. Moreover, the 4-step buttonhole and 15 built-in stitches provide plenty of versatility for sewing projects. The width and length of the stitch are easy to adjust while the stitch patterns can be selected easily by tuning with the small dial. The three-piece feed dog system allows the fabric to be fed smoothly, but the feed dogs cannot be lowered. 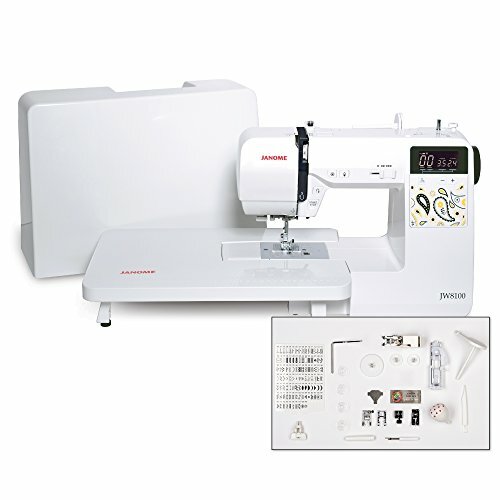 The Janome Arctic Crystal Sewing Machine also consists of a reverse lever and front-loading bobbin system. One major thing that this portable sewing machine lacks is a needle threader. Since there is no automatic needle threader, you will have to thread the needle yourself. 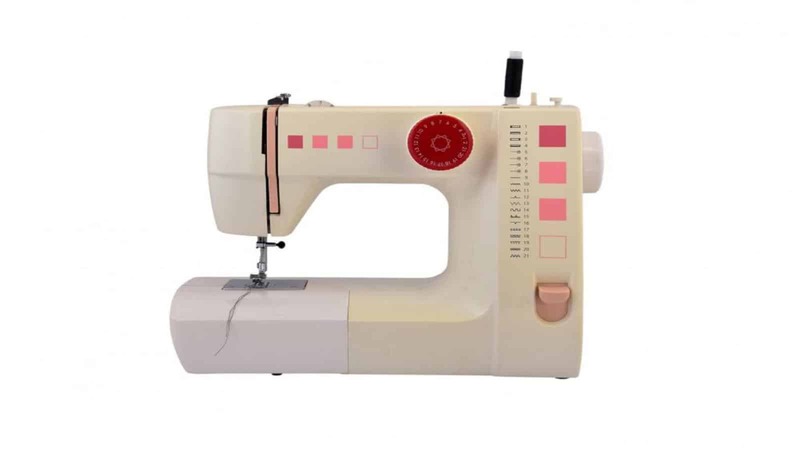 There are four presser feet available with this sewing machine including Zipper Foot, Blind Hemming Foot, General Purpose Foot, and Sliding Buttonhole Foot. LED light of the machine illuminates the sewing space and needle plate, which means that you can use the machine even in areas where the light is dim. The complete package comes with a quick start guide, instruction manual, built-in bobbin diagram, and tutorial videos. Although the Brother CS6000i looks modest, it packs some advanced features. This machine is not just convenient to use and portable, it is powerful too, especially for a portable sewing machine of its size. Easy-to-use controls and lightweight of the machine make it one of the best portable sewing machines available in the market. 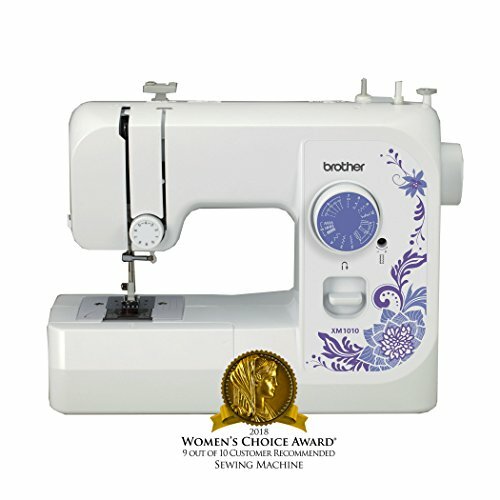 Some of the most impressive features of the Brother CS6000i include an LCD display panel, adjustable sewing speed, automatic threader, and 60 in-built stitches. You will love the handling and simplicity of this sewing machine. It will allow you to complete spectacular designs and it is great for quilting too. If you are looking for a portable sewing machine that can work well with heavy fabrics like denim and leather, then the Singer 4432 is perfect. Thanks to the powerful motor in this machine, you can complete 1,100 stitches in one minute. Three adjustable needle positions are available for different stitching styles. Moreover, the package includes four additional presser feet including Zipper Foot, Button Sewing Foot, Buttonhole Foot, and All-Purpose Foot. The Singer 4432 Sewing Machine allows you to adjust stitch width and length and the presser foot pressure can also be changed. The feed dogs can also be lowered in this portable sewing machine. The machine comes with 32 preset stitches out of which 6 are for normal sewing, 18 for decorative stitching, 7 are for stretch stitching and one is for automated buttonholes. An automatic needle threader makes it easy to thread a needle. The Singer 4432 Sewing Machine comes with an LED light to lit the working space and the tension system of the machine can be easily adjusted using a dial. The instruction manual and quilting guide will help you set up the machine and get started. We like the ability of this portable machine to sew heavy fabrics. For tough garments, we recommend slowing the speed and using a larger needle. The Janome JW8100 features 100 stitch patterns including 28 for home décor, 27 heirloom ones, 18 for quilting, 20 fashion and basic stitches and 7 for buttonholes. It is a computerized sewing machine where the stitch length and width is adjusted automatically according to the selected pattern. Thanks to the automatic needle threader, you won’t struggle with threading the needle. The sewing speed of the machine can be adjusted using the speed control slider on the side – a noteworthy feature for both advanced sewers and beginners. There is a start/stop button on the machine, so you don’t have to foot peddle. The LCD display has buttons that allow you to easily navigate through stitch patterns and select the one you need. The extension table offers plenty of working space. You can also adjust the drop feed to manually control the direction of your fabric and speed. One thing we don’t like about Janome JW8100 is that there is no free-motion quilting foot, which makes it unsuitable for quilting. Other than that, it is a great portable sewing machine packed with plenty of features to satisfy both the novice and veterans. The Singer Start 1234 is one of the best portable sewing machines. This sewing machine is great for beginners because it is equipped with basic features that will introduce you to stitching. The best thing about the Singer Start 1234 is that it’s extremely lightweight and portable – the machine weighs only 7 pounds. So, you can easily take it with you to the sewing class and learn to sew. You will love the simple operational protocols of this machine. 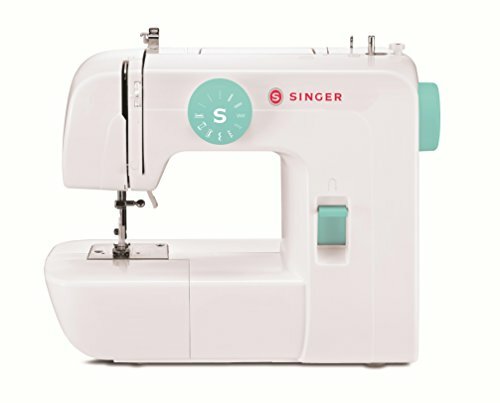 The Singer Start 1234 comes with 6 built-in stitches and each of them has a preset stitch width and length. If you’re looking for a portable sewing machine to get started, then Singer Start 1234 could be the right option for you. The Brother XM1010 is a lightweight machine that comes with plenty of useful features. It features 10 built-in stitches including zigzag, blind hem, stretch stitches and one four-step buttonhole. There is an automatic bobbin winder and stitches can be selected with a dial. The maximum sewing speed of the Brother XM1010 is 750 stitches per minute. This isn’t much, but it is more than enough for those who work on small sewing projects. 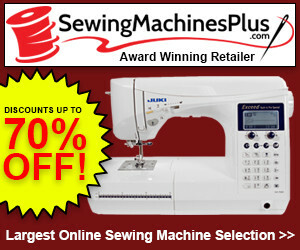 It has all the features you would need for home sewing projects. However, if you are looking for a sewing machine that can handle larger projects, then Brother XM1010 is not it. 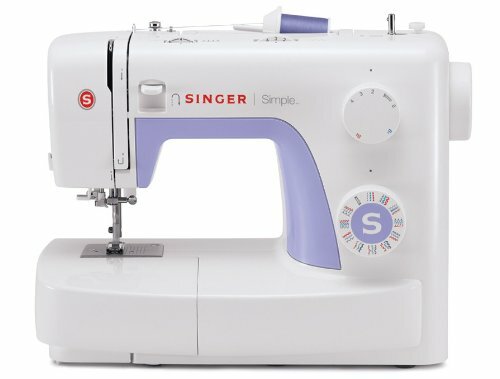 The Singer Simple 3232 is another great portable sewing machine that you can easily carry with you. Just because it is lightweight and simple doesn’t mean that it does not have good features. It is perfect for beginners and has plenty of great features that are sure to impress you if you are just starting out with sewing. 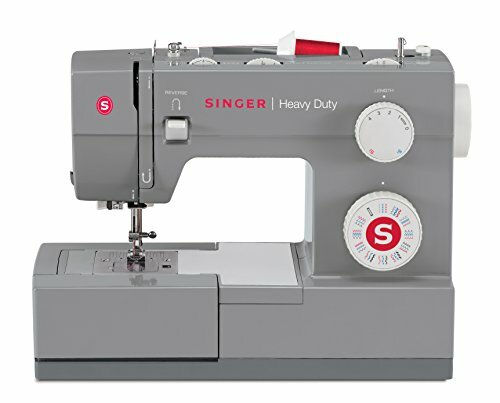 The Singer Simple 3232 comes with 32 built-in stitches, one-step buttonhole, and a built-in needle threader. 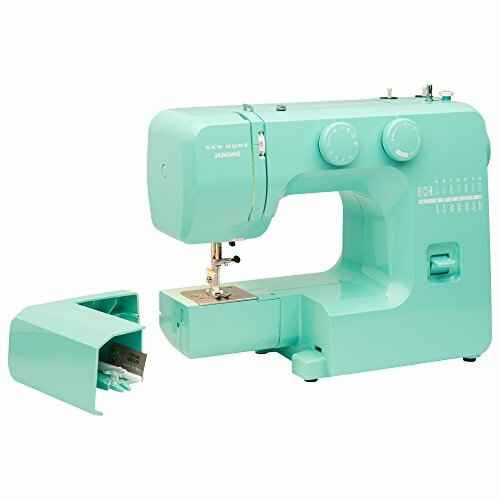 Not only that, the machine features a heavy-duty exterior metal frame that makes sewing projects easy and fun. The sewing speed of this machine is the same as that of Brother XM1010 – 750 stitches per minute. This is pretty good for a portable machine and will satisfy your needs if you only need to work on smaller home sewing projects. One of the things we like about this portable sewing machine is that there is a reverse button that allows you to sew in reverse. You can use it to reinforce the stitching. The presser foot of the machine can also be raised to a higher position, allowing you to complete your sewing project with ease. Now that you know the best portable sewing machine and their features, choose the one that best meets your requirements. We have included plenty of options that could be right for you even if you are beginner, intermediate or a more advanced sewer. Take your time to study the features and capabilities of each machine before you make your decision to buy a portable sewing machine.